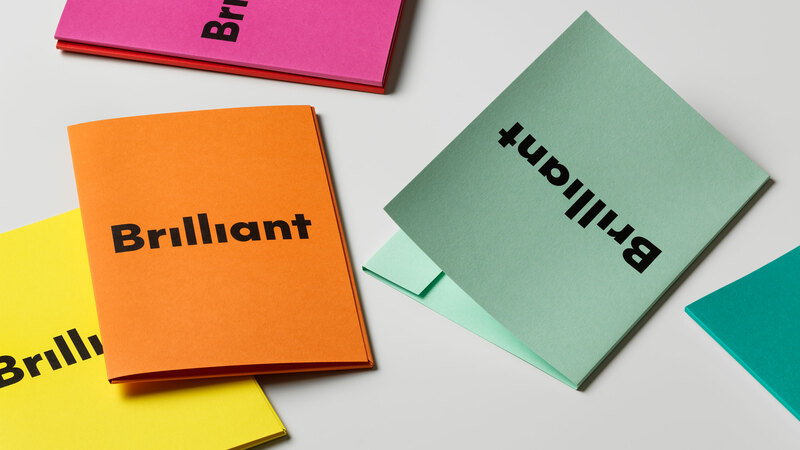 To challenge the idea that B2B branding needs to be serious and devoid of emotion, we developed “serious playfulness” as an overarching theme for the naming, strategy and design for employee and customer survey consultant Brilliant. 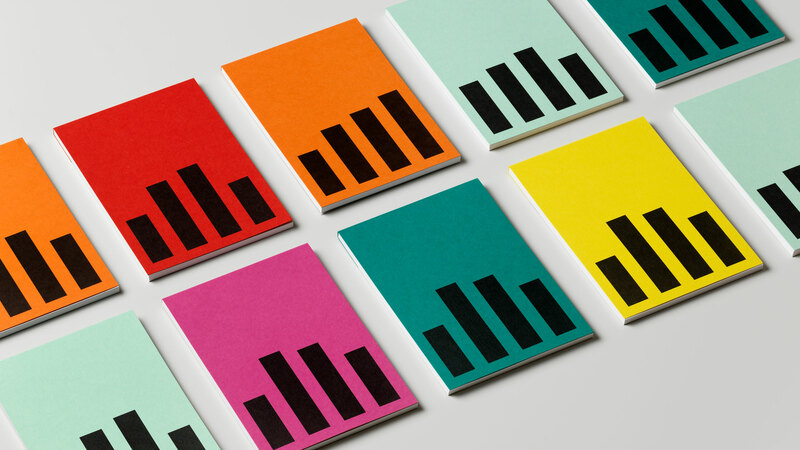 The dynamic logotype and identity elements reflect Brilliant’s expertise in performance insights, compiled into tools such as bar charts, graphs and statistics. 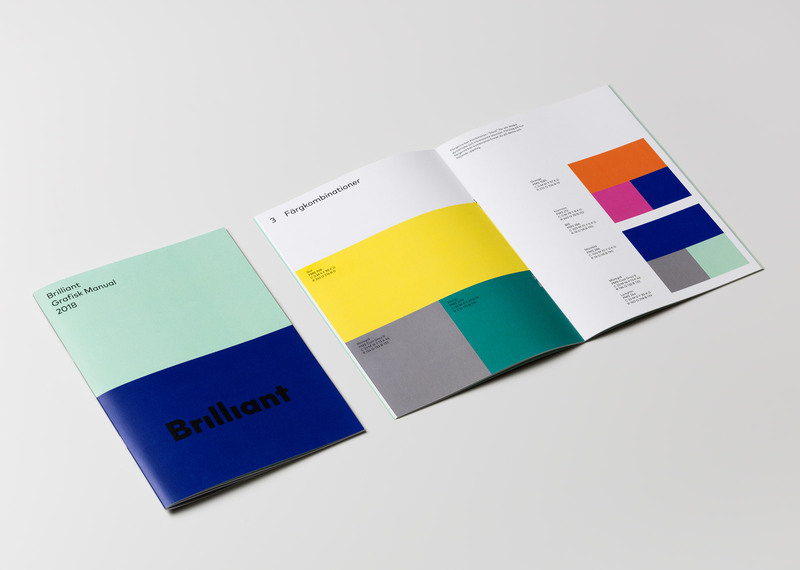 A modular colour and image block system was established for the website. 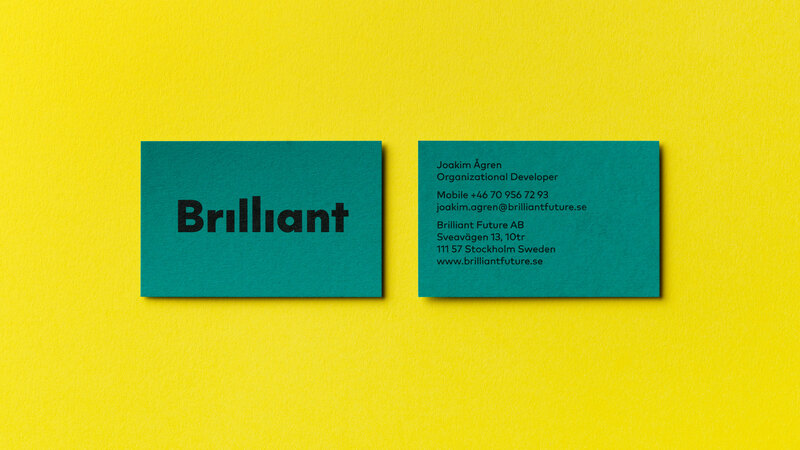 This flexible template set the basis for the development, while maintaining a clear association to the identity. 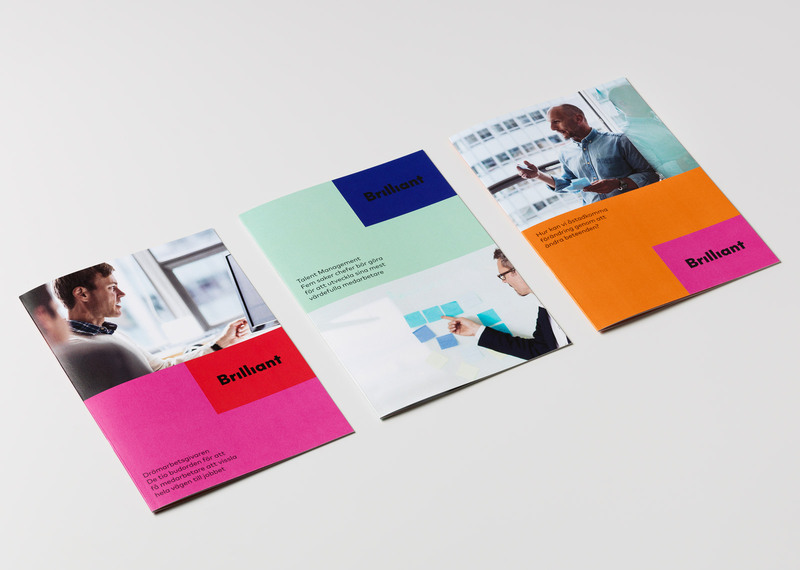 When Netsurvey, a leading employee engagement consultancy in Sweden, acquired Bright, experts in customer surveys, the first thing they asked The Studio to help them with was a name for the new company. 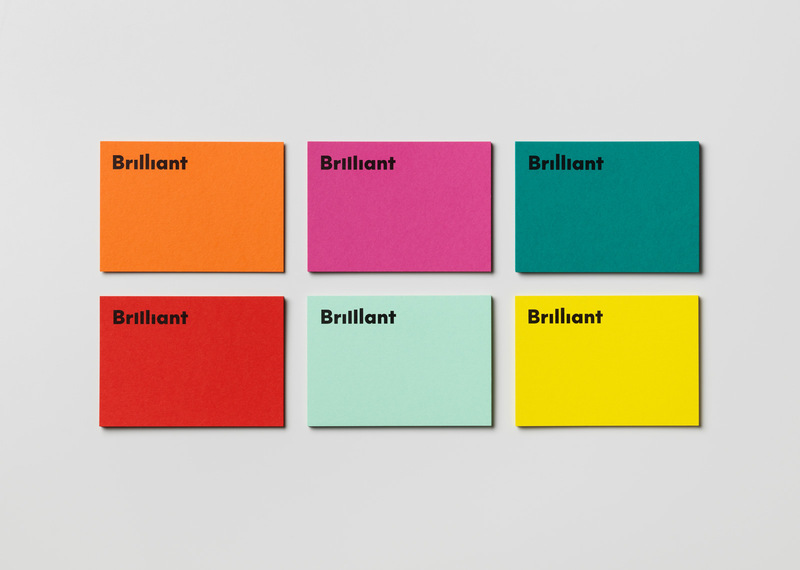 After a thorough research and analysis process, the name we arrived at was “Brilliant”. 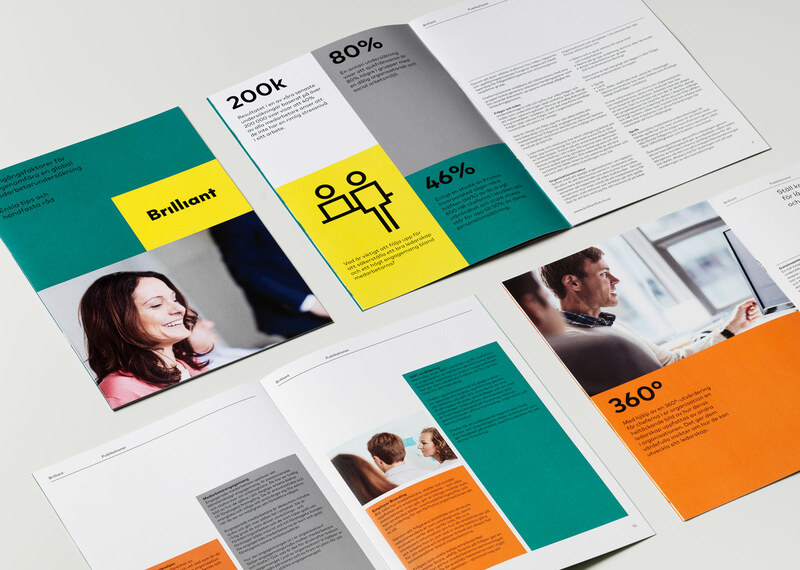 Our next task was to create a brand platform that would encapsulate the common denominators of both cultures, and that people from both organizations could identify with and stand behind. 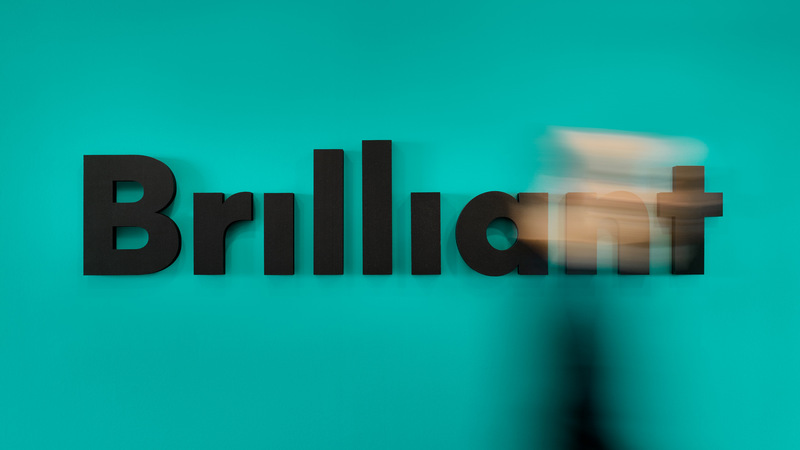 An overarching theme for the description of the value base of the new company was summarized as “Serious Playfulness”, which guided all of our work. Both Bright and Netsurvey were organizations characterized by engagement, passion and expertise – but also by warmth, laughter and a joyful approach to what they do. 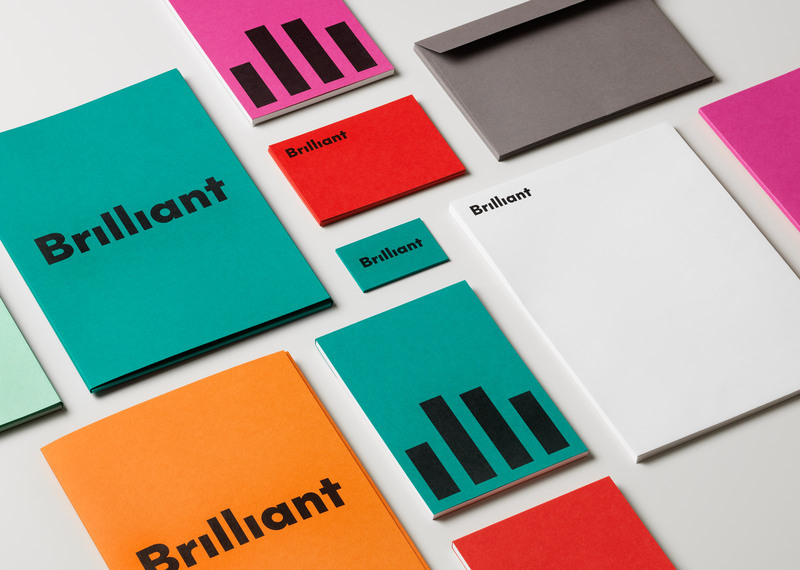 This was something that we strongly felt we wanted to use in order to differentiate Brilliant from their competitors. As is often the case in B2B for some reason, identities and communication are typically very serious and “corporate”, with a generic language, devoid of emotion, personality and playfulness. We wanted to challenge that and saw it as a great opportunity. 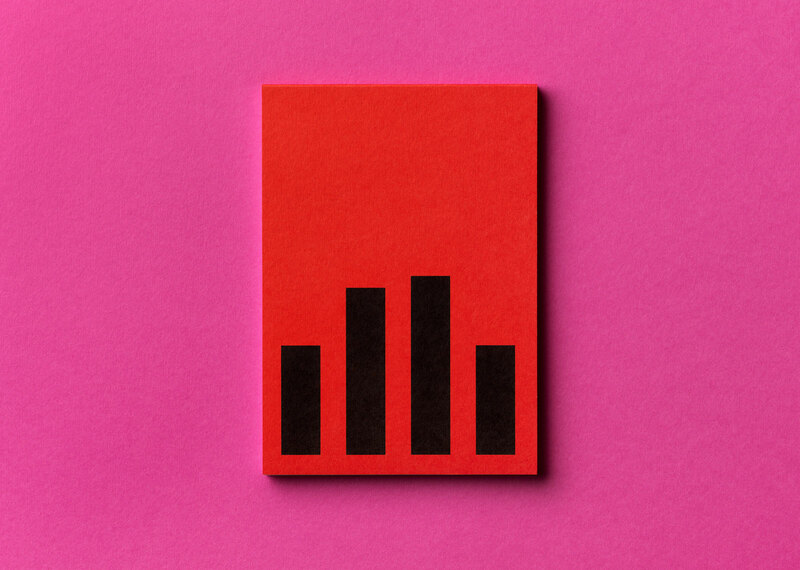 So, with “Serious Playfulness” as a base, The Studio developed a graphic identity that bursts with vivid colors, bold and friendly typography, lively animations and a pictogram set comprising more than 50 unique icons. It is fun, warm, welcoming – but has a serious undertone, and is never gimmicky or silly. It was instantly loved by staff and customers alike and provided the perfect start of the Bright/Netsurvey marriage.